Sheerview Window Furnishings are the experts in creating custom curtains for Gold Coast customers. We’ll make sure you get the best curtains for what you spend, and we’ll make the whole process as simple as possible from start to finish. We can make curtains of any style, and we can advise you on all kinds of things like textile choices, colour selection, and so on. The only thing standing between you and glorious “made to measure” curtains is a phone call. We make the best curtains from the best materials, giving you genuine bespoke quality at reasonable prices. Curtains are available in every imaginable style, and we can even source unusual prints and designs, or create completely new designs based on images provided by you. Of course the more unique or rare the design you want is, the higher the price is likely to be, but this is to be expected when you seek out the obscure. Otherwise our prices are not beyond reach. Anything that must be custom made will always involve more work than buying “off the rack”, and everyone buying custom understands this also increases the cost. The advantage of having curtains custom made is that you have absolute control over every aspect, ensuring you get exactly the look you want, and fitting your window spaces perfectly. When you are choosing something custom made, you have so much control, and so it is important to put a lot of thought into the choices you will make. The more you plan in advance, and the more you consult with us before the actual work commences, the easier it will be to get a perfect result while also keeping the cost down as much as possible. For most windows, it is best to use two layers of curtains. The first layer would consist of sheer curtains, which allow more privacy while still allowing natural daylight to enter the room. The second layer would consist of heavier opaque curtains to block as much light and heat as possible. Proper use of heavy curtains will boost the energy efficiency of your home, having a direct effect on your energy costs. During the day, the curtains help to block heat and surplus light from getting in. 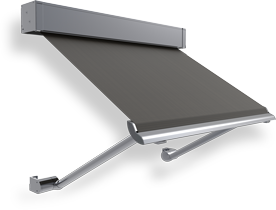 At night they can help prevent heat from leaking out, and also reduce the amount of light that escapes. Windows tend to become very cold at night, which acts like a siphon for heat, transferring it to the outside air in accordance with the law of thermodynamics. The thicker and heavier your curtains are, the more insulating effect you can expect them to have. Thus the main things to think about are the thickness and porosity of the material you are going to choose. These will have the most determination over how much light and heat energy can penetrate them. Colour is another factor to consider. 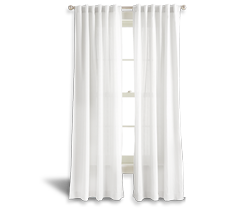 Generally speaking, and especially for homes located on the Gold Coast, it is desirable to have your primary curtain layer to have a pure white backing fabric. 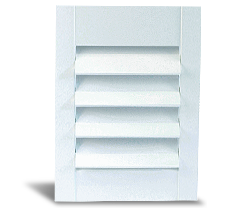 This causes the maximum amount of light to be reflected back away from the room interior. This white backing is stitched onto a thicker and darker layer of material which will face into the room. How well does the curtain colour co-ordinate with the colour of the wall? What mood does the colour fit? Is it a cool colour? Warm colour? Neutral colour? Will it be a solid colour, or will it have some kind of print or pattern? Then there is the material itself to think about. Ideally, it is best to choose natural fabrics such as cotton, linen, silk, and so on. These tend to absorb less heat than man-made textiles, and will generally give a nicer appearance. Sheerview are your local experts. 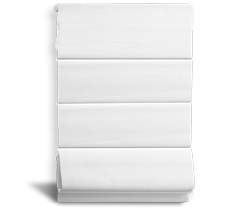 We can guide you and advise you with whatever you need to know about choosing custom curtains. We will do our best to make sure you get exactly the curtains that are right for you. Call today, or better yet, come in and see us in person.